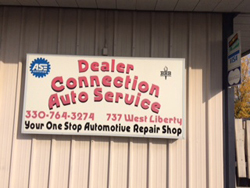 Dealer Connection Auto Service Offers Auto Repair Services You Can Count On! Since 1998, Dealer Connection Auto Service has provided motorists in the Medina, OH 44256 area with comprehensive auto repair services that include Alignment, Brakes, Car & Truck Care, Domestic Cars & Trucks, Electrical Services, Electronic Services, Engine & Transmission, Engine Maintenance, General Services, Heating and Cooling Services, Import Cars & Trucks, Miscellaneous Services, Quick Lube Services, Tires, Towing, Transmission Services and Undercar Services. Our goal is to offer the best services available at affordable prices to get you back on the road in no time. 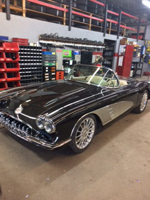 For a high-performing vehicle, trust Dealer Connection Auto Service with your car, truck, or van. To learn more about the services we offer, please contact us by phone at 330-764-3274 or send us an email. We also invite you to learn more about our dedication to you, our valued customer. I just picked up my 1996 Ford Ranger after repairs there(clutch and ball joints). The staff was great! They repaired it quickly! They kept the car clean and the pricing was good too! The truck runs great! Thanks for the great job! I will definitely recommend them to everyone I know! THANKS AGAIN! These guys are awesome!!! Rob and his crew got me back on the road fast. My car broke down and they got it right in and fixed fast! 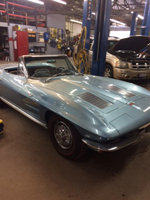 Rob and his crew are GREAT at diagnosis and repairs! I've been using Rob for more years than I can remember and I always walk away feeling good about the repair and the value. I now send my adult children to Rob. Fair pricing, trustworthy, good work.